Breaks my heart to see how horribly some of these dogs have been abused. What kind of persons treat dogs in this manner. Wish they can all go to good homes and get the love they deserve. When I look at my own dog slleeping on the sofa... I sneak up on her to kiss under her neck. Every morning at my prayer time, shes comes into our bed for a warm mornig snuggle. When I come home in the evening she is so worked up its a miracle her tail is still intact from all that wagging. Wish all these dogs can be care for. It is even more horrible to see what dogs are experiencing internationally. 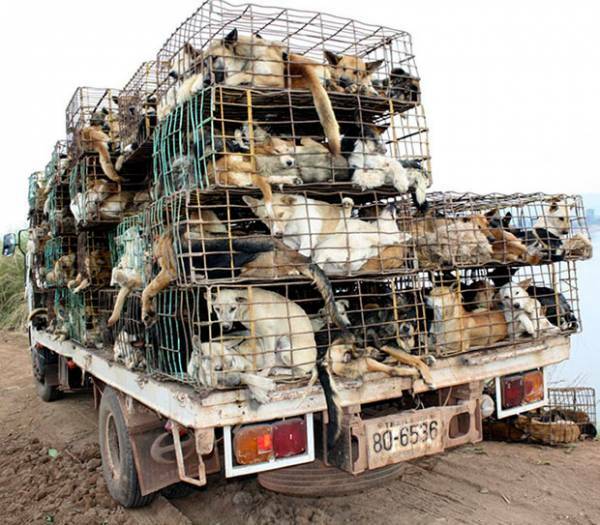 Here is a truck load of dogs seized at the Thai -Laos border; the cargo was intended to be cooked as meat in Laos. Wondering what the Thai authoritites are going to do with all these dogs that were seized. 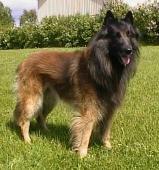 Looks like there are a couple mixed GSD's in there. OMG how very, very sad.